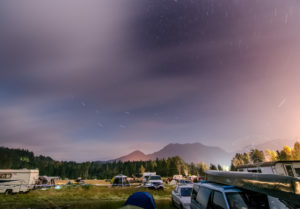 Camping is a great part of the Starbelly Jam experience! kind and gentle with your camping community. will find the Festival Campground Managers and/or Professional Security. In the event of an emergency, call 911 first. 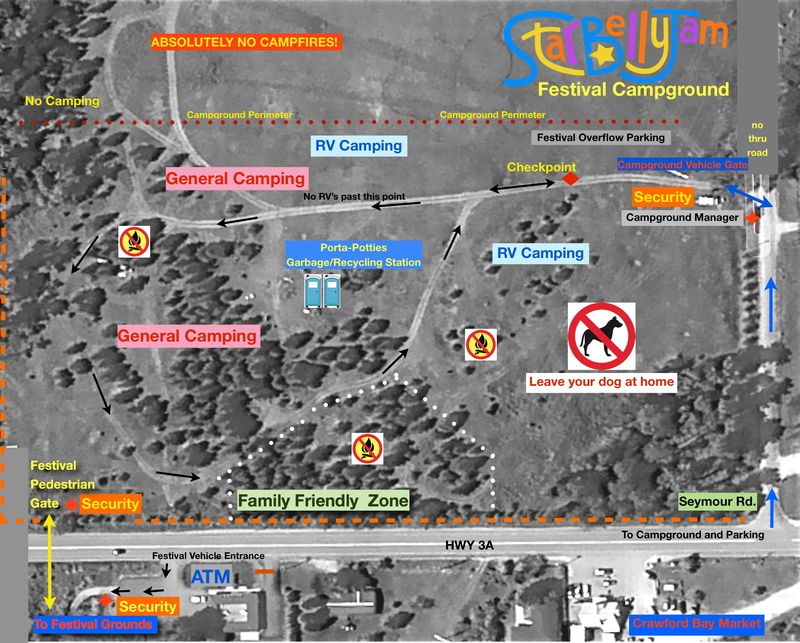 festival site – We offer a General Camping area and a Family Zone. earplugs. An inexpensive solution to help get a full nights rest. 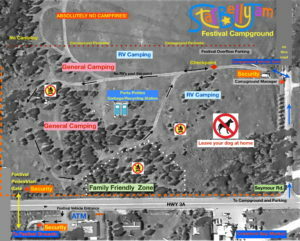 permitted anywhere in the campground. for RVs is limited there. you need to arrive together to ensure you get a spot together. the garbage, consider taking it home with you. You can’t drink enough water! By the time you feel thirsty, your body is already dehydrated. Remember to bring water. Camp only within permitted areas. Dress appropriately for the weather. If you’re not familiar with Kootenay Lake weather, it can be hot and sunny one moment and cold and rainy the next!